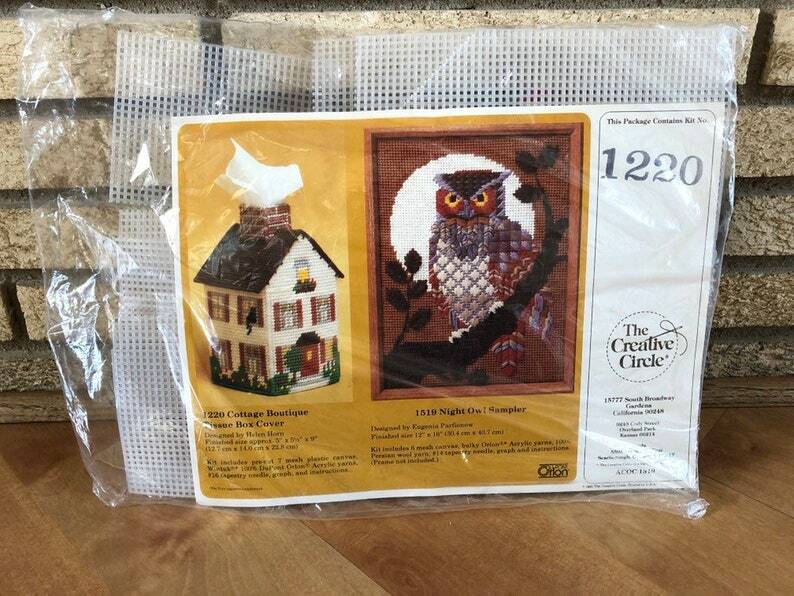 This is a vintage The Creative Circle needlepoint kit #1220. It contains the Cottage Boutique Tissue Box Cover. Finished size is 5” by 5.5” by 9”.